Parental engagement with mainstream medicine is on the brink of a major collapse, and a new book by J.B. Handley, co-founder of Generation Rescue, activist, and autism dad, may just be the tipping point that pushes a majority of parents over the edge, especially when it comes to vaccines, the linchpin of today’s pediatric practice. Handley has become increasingly vocal about mainstream medicine’s failures with respect to autism in recent years. 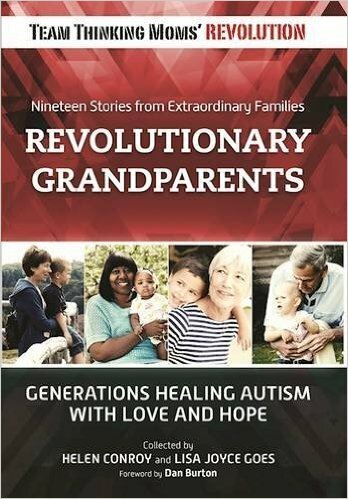 With his new book, pointedly titled How to End the Autism Epidemic, he is clearly determined to accelerate the pace of parental education and medical revolution by sharing what he has learned in a simple, easy to understand—but very hard to read—book. I say hard to read because Handley’s book outlines in stark detail what we have done to our nation’s young people, and it isn’t pretty. The reward is never financial. Handley decimates the popular feel-good notion that autism has always been with us in about the same numbers we see today; we just called it something else like mental retardation—or genius if you choose to include Albert Einstein or Sir Isaac Newton. This idea has been bandied about ever since alarm about rising autism rates first hit the mainstream media and was recently given a huge boost by Steve Silberman’s book NeuroTribes. The problem is, despite Silberman’s warm and friendly demeanor and the pile of research he obviously conducted, his conclusion couldn’t be more wrong. I wrote about this myself when Silberman’s book first appeared, but Dan Olmsted and Mark Blaxill did a complete and thorough takedown (I think the word “debunk” has completely lost its cachet, don’t you?) of this frankly preposterous hypothesis in their book Denial: How Refusing to Face the Facts about our Autism Epidemic Hurts Children, Families, and Our Future. Handley summarizes Olmsted and Blaxill’s meticulously researched arguments succinctly in support of his belief that we are in the midst of an environmentally induced medical disaster that the mainstream media, the United States government, and major pharmaceutical companies all want you to believe doesn’t exist. Why would these entities play the “pay no attention to the man behind the curtain” game? Probably because “the man behind the curtain” is the fact that autism prevalence has increased geometrically concurrent with the geometric expansion of the recommended childhood vaccine schedule since 1989. If autism prevalence hasn’t really increased, then that correlation becomes a mere “coincidence” and not a major danger signal. The next lie is one that we’ve addressed here countless times: “Vaccines are safe and effective.” Handley, like most of us “ex-vaxxers” once implicitly believed that vaccinating—for anything and everything recommended by the CDC—was a no-brainer: all benefit for virtually no risk, what I like to call your “get out of sickness free card.” That is until his own son, Jamison, started exhibiting telltale signs of vaccine injury. When Jamison was diagnosed with autism, Handley and his wife refused to accept the dire prognosis offered by his pediatrician and began researching ways to help. Along the way they discovered that, despite what they were told, recovery is possible. Once they proved to themselves that simple changes like diet and a few supplements could make huge differences in Jamison’s comfort and behavior, they wondered what else mainstream medicine was getting wrong. They delved deeply into the subject and found a mountain of evidence (only some of which is anecdotal) that vaccine injury happens far more often than is ever admitted by the CDC and has been scientifically linked to a wide variety of neuroimmune dysfunction, including autoimmunity, allergy, asthma, eczema, ADHD, autism, epilepsy, and schizophrenia, among others, all of which overlap significantly with the autism population and are rising rapidly in prevalence as well. Could it be that the same medical procedure that we repeatedly subject infants to in order to activate their immune systems to ward off infectious disease is having far-reaching unintended consequences in the form of chronic inflammatory conditions? As “chronic inflammatory condition” is another way of saying “chronic immune activation,” vaccine safety would seem a logical topic for investigation. Handley reveals the “safe and effective” mantra for what it is, a marketing strategy, nothing more. Vaccines are not created equal, and neither are people. What is “safe and effective” for one may be lethal for another. That’s scientific fact that is almost completely forgotten in our zeal to inject “every child by two” with every available vaccine in the name of public health. Handley supports his contentions about CDC’s marketing efforts with a revealing discussion of a presentation given by its director of media relations, Glen Nowak, in 2004 entitled “Increasing Awareness and Uptake of Influenza Immunization.” In order to manufacture demand for the vaccine, Nowak said, it was critical to portray influenza using words that motivate behavior, such as “very severe” and “deadly.” In other words, Nowak told the audience they should stretch the truth to the breaking point to scare people into vaccinating; anything less would be ineffective at motivating the desired behavior. As Handley suggests, this “marketing technique” is really a euphemism for the unethical practice of lying to the public about the real risks we face. Handley makes all the arguments that have never seen the light of mainstream media, including the fact that death rates for infectious diseases dropped by huge percentages before the advent of their vaccines, and at rates comparable to those of diseases that still have no vaccine, making it clear that the miracles attributed to them are overblown at best. In truth, they may be making the vulnerable indigenous populations that are assumed to most benefit from vaccines even sicker, as evidenced by a compelling 2017 analysis of data on the health outcomes of children who were vaccinated in the West African nation of Guinea-Bissau in the early 1980s. Using an ingenious comparison of children who were vaccinated in one visit to those who had to wait until the next visit, the researchers found much to their surprise that the mortality rate—the number of children actually dying—was five times higher in the children who had been vaccinated than in the children who hadn’t. The rate was even worse for children who had only had the DTP vaccine, approximately ten times higher. This implies that while vaccines may indeed reduce the number of acute cases of a specific infectious disease, they may also alter the immune system in such a way that the recipient becomes more susceptible to other threats—at least in the immediate aftermath of the vaccination—which is the very last thing we want happening in a vulnerable population. Thus, the whole basis of mass-vaccination programs may be deeply flawed and in need of thorough re-evaluation. Then Handley gets into the nitty-gritty of the “safe and effective” argument: The marketeers tell us that vaccine adverse reactions are “one in a million,” but the data shows that obvious, reportable adverse reactions are actually occurring at a rate more like one in 50 vaccine recipients, and only about 1% of these reactions are ever reported to the Vaccine Adverse Event Reporting System (VAERS). Handley refers to a CDC-sponsored three-year study by Harvard Pilgrim, published in 2010, which was intended to enable automated reporting of adverse reactions so that medical professionals (not to mention the general public) would have a much clearer understanding of what constitutes a vaccine injury. I’m so familiar with this subject that I’m prone to blasé reactions to facts that should be incendiary, but even I was outraged by the fact that the CDC essentially blew off the Harvard Pilgrim researchers by refusing to engage further, thus wasting three years and a million dollars’ worth of effort and leaving us with the same piss-poor tracking we started with. The third lie, “the science is settled” is another one that we cover here pretty frequently. We know how bad the epidemiological studies are that purportedly “prove” that “vaccines don’t cause autism.” We know that they only cover one vaccine (MMR) and one ingredient (thimerosal), and that they compare highly vaccinated populations with slightly less vaccinated populations instead of comparing them with truly non-vaccinated populations. We know that these studies’ conclusions are repeatedly mischaracterized as “proof” in the media when they don’t even ask the right questions, much less answer them. We also know (from Freedom of Information Act requests and a CDC whistleblower, William Thompson) that the data has been highly manipulated to disguise strong correlations that actually did appear. I was slightly disappointed to see that Handley didn’t discuss the blatant manipulation in the Verstraeten thimerosal study and the secret meeting at the Simpsonwood conference center with representatives of vaccine manufacturers. Those facts were instrumental in producing the cynical health blogger I am now. I was delighted to see Handley’s in-depth discussion of the United States polio epidemics of the 1940s and 1950s, however. I had seen the hypothesis that DDT was the factor that transformed polio from a mild illness that everyone got and most didn’t even notice to one that paralyzed, possibly permanently, a small but significant percentage of its victims. It seemed like a logical premise; paralytic polio was much more prevalent in the summer months, around public pools and parks where DDT spraying was common. DDT is known to harm the central nervous system. Could the DDT be combining somehow with the harmless poliovirus to make its effect much more virulent? According to an article written by Dr. Morton S. Biskind in 1953, it’s more than plausible given the known facts about poliovirus and DDT. Handley also discusses the role that tissue injury may have had in provoking paralysis. It was well known that children who had recently had tonsillectomies were much more likely to be paralyzed if they contracted the poliovirus than children who hadn’t. It’s possible that other tissue injuries could provide the same boost to the virus: According to a 1998 paper, “muscular trauma induced by multiple injections can lead to rapid progression of PV-induced paralysis, upregulation of viral replication in certain tissues, and acceleration of the progression of histopathological lesions.” Ironically, this implies that muscular trauma from the very injections designed to keep children healthy may be what triggers paralysis in some children. The final lie may be the most insidious. I have had multiple conversations with intelligent, sane, and rational adults who believe that there is no profit motive driving vaccine manufacturers. They think that vaccines are the “loss leader” they were in the mid-1980s and that pharmaceutical companies are making them just because the government wants them to. Even if those very same companies are fined to the tune of billions of dollars for horrendously unethical marketing practices with respect to their other products—Vioxx for instance, made by Merck, also the makers of MMR and Gardasil vaccines, which is estimated to have killed 60,000 people before it was pulled from the market—these people think manufacturers’ motives are as pure as the driven snow when it comes to vaccines. Essentially, they are providing vaccines—at cost—as a humanitarian gesture, perhaps to offset the tremendous harms they are doing in their other business sectors? Maybe this was true in the past, it’s hard to know for sure about intentions, but what these intelligent, sane, and rational adults are missing in their calculations is the liability protection that vaccine manufacturers received through the National Childhood Vaccine Injury Act of 1986, which resulted in an immediate and unabating expansion of the recommended vaccine schedule to the point that vaccines are now the fastest growing pharmaceutical sector, with sales expected to reach $60 billion by 2020. Most of us can understand corporate greed easily enough when faced with the facts, but understanding the deep conflicts of interest that run rife in our government watchdog agencies and affect some of the best-known scientists that we rely on for information on vaccine risks and benefits can be much harder to see, even to the scientists themselves. Handley dismantles these scientists’ self-image as disinterested do-gooders by pointing out the large, and usually undisclosed, sums of money they receive from the vaccine industry as promoters of that industry’s products. The highlight of this chapter, and perhaps the whole book, is an extended excerpt from an eight-hour deposition of Dr. Stanley Plotkin, who literally wrote the book (Plotkin’s Vaccines) on vaccines. 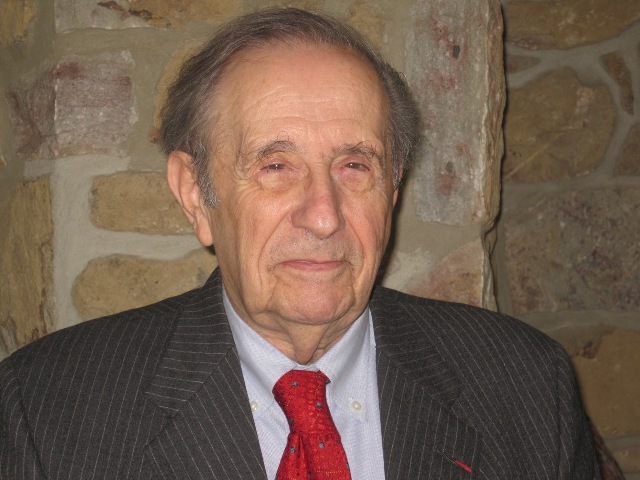 Plotkin had been put forward as an expert on vaccines for a custody dispute in Michigan by Voices for Vaccines, an industry mouthpiece masquerading as a grass-roots organization. The lawyer who deposed Plotkin for the mother who does not want her daughter to be vaccinated is the brilliant Aaron Siri who successfully litigated against Michael Bloomberg’s flu shot mandate for New York City schoolchildren (at least until the New York State Court of Appeals ruled for the Health Department in January of this year). It seems unlikely that Plotkin was at all prepared for the level of expertise that Siri exhibited in his questioning, but then that’s nothing new. The forces behind today’s vaccine schedule have consistently underestimated the level of scientific knowledge routinely consumed and disseminated by parents who want to get or keep their children well. Siri elicits detailed information about the payments Plotkins receives (in many different forms) from the very companies who make the vaccines that Plotkin intended to advise the court to compel the child to receive; oddly, despite payouts of millions of dollars, Plotkin seems completely thrown by the idea that his financial ties to those companies would be construed as a conflict of interest. Siri then has Plotkin read a passage from an article in the prestigious New England Journal of Medicine describing the types of conflicts of interest that render science untrustworthy; the passage describes Plotkin to a T. Game, set, and perfect match. Plotkin withdrew his offer to testify the day after the deposition. Handley asks who benefits from the above four lies repeated ad nauseum in the mainstream media, and how do they benefit? The manufacturers and their mouthpieces benefit to the tune of billions of dollars in profits, and the government, specifically the Department of Health and Human Services, benefits by the rejection of billions, perhaps trillions, of dollars in liability for the harms vaccines have caused. Having revealed the lies, Handley goes on to present the truth in the form of the growing body of experimental science that has established beyond a shadow of a doubt that vaccines can and do cause at least some of the autism we are seeing, the only question is how much. Handley’s clear explication of the eleven most important recent scientific discoveries about autism and how they neatly dovetail to provide unambiguous proof that vaccines are causing at least a huge chunk of the autism epidemic, not to mention the lesser types of neurological damage that may appear as ADHD and learning disorders. TMR readers are probably familiar with the majority of these discoveries from our blogs, blog comments, and Facebook posts, but mainstream audiences have yet to be made aware of any of it. We know that autism is characterized by high levels of inflammation in the brain, that a particular cytokine, IL-6, is a necessary and sufficient condition to cause autism in a developing brain, that aluminum adjuvant such as that contained in a number of childhood vaccines can cause high levels of IL-6 in the brain, and that autistic brains have been found to have extremely high levels of aluminum. But previous discussions of the science, such as that published by VaccinePapers.org, are highly technical. Handley’s simple, thorough, building-block-by-building-block approach is an important bridge to help mainstream audiences get rapidly up to speed. The other subject that the mainstream audience knows little about is the process of legal compensation for vaccine injury. We have covered the topic in the past and pointed out the brokenness and hypocrisy of the Vaccine Injury Compensation Program inherent in the decision to pluck the Hannah Poling case out of the Omnibus Autism Proceeding and compensate it quietly instead of allowing it to go through as one of the three “test” cases. It was clear to those involved back in 2008, and Handley makes it extra-specially-crystal clear, that this was done to keep Dr. Andrew Zimmerman from testifying on behalf of the petitioners. Zimmerman’s written opinion was heavily relied upon when denying compensation to the 5,000 petitioners who believed that their children developed their autism as a result of their childhood vaccines. But another, later, written statement by the same Dr. Zimmerman formed the basis of the Poling concession. Zimmerman had changed his mind and had come to believe that in cases of pre-existing mitochondrial conditions, vaccines can and do trigger autism in some patients, including Hannah Poling. Because Zimmerman was not allowed to testify, the third Omnibus test case, that of Yates Hazlehurst, was denied, despite the fact that Yates had the exact same diagnosis from the exact same doctors as Hannah. Yates’s father, Rolf Hazlehurst, is an assistant district attorney in Tennessee and knows the legal system better than your average autism dad. He’s currently suing Yates’s pediatric practice for continuing to vaccinate him when he was obviously declining. The best thing about the lawsuit is that, for the first time since the 1980s, information that is normally hidden from the public will be aired in an open courtroom, including the changed opinions of Dr. Andrew Zimmerman and Dr. Richard Kelley, acknowledged experts on autism and its treatment. Doctors Zimmerman and Kelley have already been deposed, even though the trial will not be continuing until October. 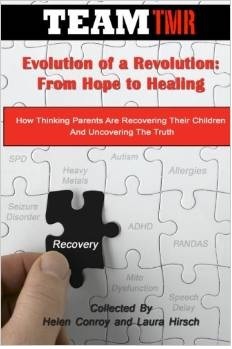 By the end of the large chunks of their testimony that Handley quotes in the book, I almost felt sorry for anyone who has managed to hang on to some shred of faith in the mainstream understanding of vaccines, autism, and autism treatment until this point. Almost, but not quite. Zimmerman and Kelley, both men in their seventies, state unequivocally that in cases of mitochondrial dysfunction vaccines can and do cause autism and that is the general understanding of many of their colleagues; that mitochondrial dysfunction is not rare in the autism population, it occurs in 25-40% of all cases they see; and it is their opinion that vaccines were responsible for the development of autism in Yates Hazlehurst, whose petition was denied by the Vaccine Injury Compensation Program. Like Handley, I don’t agree with that view at all. CDC and HHS’s lies for “public health reasons” have resulted in the single biggest public health threat the United States has faced in a very long time, at least since our cities’ streets were literally clogged with horseshit. Handley provides a 12-point plan for ending the autism epidemic. While I think that specific suggestions are a good idea for the newcomers who will be rocked to their core by the information in Handley’s book—especially drawing on the example of Dr. Paul Thomas who has drastically decreased the number of vaccines recommended in his large Portland, Oregon, pediatrics practice and seen no new autism cases in the families who follow his schedule—in my opinion Handley relies too heavily on getting governmental and medical organizations on board with his “stop the epidemic” agenda. Despite the fact that I have personally spent a good deal of time and money trying to affect federal autism policy and much as I respect and admire all the people who have risked their careers to take a stand on this subject, there is no one person at the top who can stop the medical-industrial complex from co-opting our collective health. Healthcare spending has reached the point where it accounts for 18% of our GDP, and according to this accounting it is the most profitable sector of the economy. Chronic illness, then, has become a cornerstone of the American economy, and our society respects profit far too much to do anything likely to hurt that cornerstone. If the epidemic is to stop, we must all take personal responsibility for stopping it by learning everything that the J.B. Handleys of the world have to offer and flatly refusing to allow people with limited specialized knowledge and huge conflicts of interest to make important health decisions for our families. When, and only when, that happens—when a majority of parents stand up and say “I will not allow you to do this to my child”—will this epidemic come to a halt. My goal is even more ambitious than Handley’s: I want to bring real health back to our population, especially our children, which is a taller order than merely stopping the wholesale damage to the neurological system that results in severe autism. To achieve real health improvements, we need to acknowledge the roles played by other toxic insults, such as glyphosate, antibiotic overuse, and acetaminophen use, which can also result in the chronic immune activation that is making our children so sick. We need to do our best to avoid inflicting traumas on our young people, including birth trauma, and we need to do our best to heal those traumas that are unavoidable. Like Handley, I want to end the epidemics of chronic neuroimmune conditions sooner rather than later. In order for that to happen, parents have to arm themselves with the best information available, and quickly. 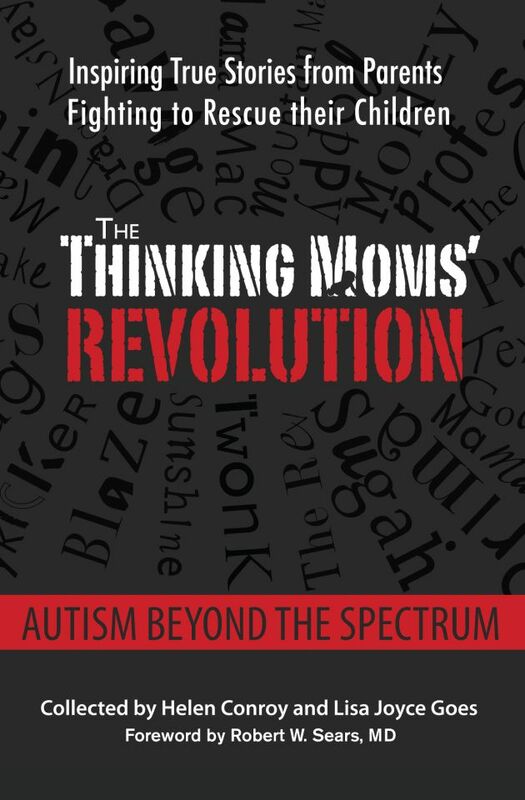 To that end, I ask that you please read How to End the Autism Epidemic yourself and pass it on to any parents you know who are interested in keeping their children as healthy as possible. This entry was posted in Professor TMR and tagged How to End the Autism Epidemic, J.B. Handley, Kelley, Plotkin, vaccines, Zimmerman. Bookmark the permalink. 31 Responses to The End of the Autism Epidemic–Finally? Anyone following the chickenpox outbreak in North Carolina? If only there were vaccines for such things. There is, of course, a vaccine, and you are welcome to use it if you like. However, the reason no one here is tracking a chickenpox outbreak in some random state is because people here are not afraid of chickenpox. They are also aware that it is impossible to eradicate chickenpox because it lives on in the nerves and the less wild chickenpox is in circulation, the more cases of shingles there will be. There is an up to 20% MORTALITY of varicella in pregnancy. Not exactly a benign outcome. I’m assuming you realize that the 10-20% of women who could contract pneumonia will not all die of it, so your statistic is off. Obviously, complications in pregnancy, including maternal death are not trivial or “benign,” but varicella was extremely rare in pregnancy before the vaccine, when almost all women got it when they were young. Incidence may creep up now, however, as we don’t really know anything about the long-term effectiveness of the varicella vaccine. Uh, Professor, you are mixing things up a bit. The varicella virus lives in the nerves after an infection, which is why some people get “shingles” (so called, because it commonly breaks out in the trunk, and an old ?Latin word for belt was “Cingular”). There is a “wild” form, as well as the form that exists in the vaccine. Is it “better” to get the disease naturally, rather than from immuniza? Almost certainly, unless you have a contraindication to it. FWIW, most of the concerns about a possible link between immunization and autism concern a few immunizations (eg. MMR especially), and not every conceivable immunization and autism. While there are some allegations about the HPV immunization, it involves other concerns, for example. Not sure what you think I’m “mixing up.” I’m well aware that the varicella virus lives in the nerves after an infection and that’s how shingles happens. I’m also aware that most people who have HAD chickenpox, don’t get shingles due to the “booster” effect of encountering wild-type varicella. These “booster” effect does not appear to happen when children are receiving the vaccine and wild-type infection is rare. AND the vaccine version of the virus is also capable of producing shingles, as many vaccinated persons have found. Autism links appear strongest to MMR and aluminum-containing vaccines, but it seems that the immune activation can be synergistic, and more devastating injuries are usually found when more than one vaccine is administered at the same time. We don’t know the effect, including on the rates of autism, of adding the varicella vaccine to the overall load children are receiving. It is a relatively new addition, and as of 2012 there were still 15 states that did not “require” it for school attendance. It’s quite possible that we don’t hear of HPV vaccines causing “autism” because the vaccine is given to children whose neurological systems have already developed, usually starting at age 12. Who knows what it would do to the neurological system if it were given to younger children? Chances are good, considering the whopping dose of aluminum adjuvant in Gardasil 9, that it would contribute quite a bit to the overall autism rate. Thank you for providing this, it just so happens I have the link allready. I would have preferred to have the original Deposition of Dr Kelley. Would appreciate it if some who has it will post it somewhere. Does anyone knows if /when the Hazlehurst case is to be heard, and how we can get links to the documented court proceedings? JB Handley has done a terrific job telling us everything we need to know about autism. He pulls together a great deal of evidence implicating vaccines as, at least, a major cause. He has provided a great service by doing so. If he would have left it at that, I would definitely have rated this book 5 stars, but instead he goes on to make some odd recommendations. In particular, he suggests that the vaccine schedule should be reduced to 4 vaccines. After describing the horrific fallout from vaccines, why in the world would he make this recommendation? Sure, fewer vaccines will cause less harm than more vaccines, but Handley never makes the case for why we need ANY vaccine schedule. Why do we need our government trying to centrally plan our health care? Certainly, it has amply demonstrated that it cannot successfully do this. The government vaccine program has been built on a foundation of fraud and coercion, from day one. What we need here is a separation of vaccines and state. Let parents and individuals determine how best to protect against harm from infectious disease, on the basis of informed consent. The government vaccine program should be abolished, not reformed. Handley isn’t making the case that those four vaccines are needed. He is saying that IF YOU STILL WISH TO VACCINATE, that those are the ONLY four he would recommend you consider. That is by no means an endorsement, or a suggestion that the government should involve itself. The thing is that the currently already involves itself, and it can be very difficult to get people to consider that the government does not actually have their children’s well-being in mind when recommending vaccines. Oftentimes, if you give them a compromise they can live with, you can get them really started thinking. I think most of us who have been at this a while, including JB, would not actually recommend ANY vaccines for the average child, but going right to abolishment of the vaccine program is not going to win hearts and minds that desperately need winning. If Handley had stated that parents should only consider the 4 vaccines, I would have disagreed with him, but could have understood that he didn’t want to scare off some parents who thought that certain vaccines are necessary. But that is not what he said. 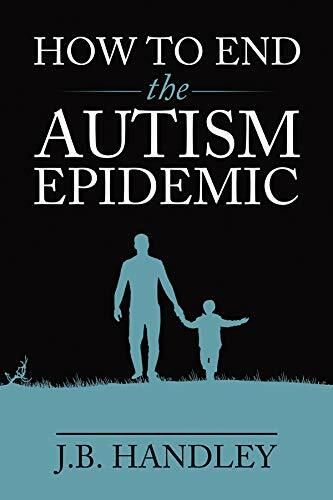 In chapter 9, under the section labeled “A Simple Proposal to End the Autism Epidemic” , he draws the following conclusion for his 1st recommendation: “Reduce the vaccine schedule to the following vaccines: DTaP, Hib, polio, and MMR”. If he thinks that the government should not be involved, yet there should still be such a thing as a vaccine schedule, why has not made any recommendation for for how such a schedule would be produced? “Reduce the schedule” means to reduce the vaccines recommended by the CDC to that number. That would automatically reduce the damage that we see by a huge percentage because the majority of people do not get MORE than the recommended vaccines. That doesn’t mean that HE recommends that all or even most children actually receive those vaccines. He’s taking the pragmatic approach that the government IS involved and trying to minimize the damage they do as a result. Thanks for the information about the Autism Policy Reform Coalition. I hadn’t heard about that, and I hope the legislation is successful. Good news too about the provisions for treatment – I agree that we need more research into what treatments are effective and why, as well as new treatments and therapies. And I agree that the neurodiversity movement is not perhaps as cohesive as ASAN would have everyone believe. However, I do hope the new proposed legislation also provides research into treatment for adolescents and adults with autism, particularly severe autism. And I would like to see research into cure, for those who want cure. Health improvements are good, and they can make an enormous difference, but I want more than improvement. I wouldn’t force a cure on anyone who felt their autism was a gift, but I do want the option of cure, just like I support cochlear implants for those in the deaf community who want them. On the vaccine front, though, I still worry about how to loosen the grip of Big Pharma influence on Congress, the CDC, state legislatures, and the medical associations. We do need Congressional hearings, we do need to get rid of vaccine mandates, we need to reform “Vaccine Court”…but I suspect Big Pharma is going to lobby hard to block any of those things. Just finished JB Handley’s book. It’s really good and presents the science and the law in a clear understandable prose. His twelve point plan, if implemented, would go far toward ending the epidemic. But I think he could have spent more time on how to accomplish these steps. I’d like to know his thinking on the following: How can we scrap/reconstitute the IACC? What’s the best way to remove CDC authority on vaccines? How can we convince Congress to hold a hearing? These things need to be done, but how to do them? I agree that biomedical treatments should be more widely shared and implemented. But even with the best biomedical treatments we currently have, the recovery rate is still under 10%. We need more and better research. The Suramin trial results are exciting, but it was a small study, and only done in children. Over the years, I’ve also seen a lot of promising treatments not really fulfill their promise. The second big obstacle I see is the power of of the pharmaceutical industry. Pharma will not readily yield to changes in the vaccine schedule because it will reduce their profit margins. Pharma also has enormous influence in Congress, in state government, and in the media. As far as scrapping/reconstituting the IACC, the Autism Policy Reform Coalition (which TMR is a member of, and I specifically have done a lot of work on) has been working with a legislator on a bill that would do just that. The committee would be reconstituted to have a majority of stakeholders including parents of the most severe children. The bill also includes provisions for research on treatments. One of the things that would make a huge difference would be identification of the various autism phenotypes, discussed at length in James Lyons-Weiler’s book “The Environmental and Genetic Causes of Autism,” and which treatments are best for each phenotype and the contra-indications for overlapping phenotypes. At the very least that could save many families time and money as they do not pursue treatments that are unlikely to have an effect on their child’s specific phenotype. We know that many treatments are VERY effective for specific children. We need to identify the characteristics that make specific treatments helpful. It’s not by any means an impossible task, and can easily help pave the way to even more effective treatments in future. The neurodiversity community is an issue, but I’m noticing less cohesion there than before. I could be wrong, but so many of those kids and young adults are having serious health issues that they are intrigued when I point out that those issues are not inevitable. It’s also important that they understand that we are NOT talking about eugenics in any way, shape, or form, as they are often disingenously told (see Simon Baron-Cohen’s recent tweets). We are talking about health improvements, which can make the difference between developing a disability and not. I’m sure that sounds ableist to those who currently have the disability, but the fact is that as a society we cannot continue to support sharply rising rates of disability. I am really looking forward to receiving my copy of JB Handley’s book – Amazon promises it on Thursday. I hope it results in the end of the autism epidemic. But I want more than the end of the autism epidemic. I want the children and adults who are currently injured to be healed. Right now the recovery rate is under 10%. The majority of those on the spectrum will need lifelong care and support. Yet, there is little research into effective treatment, therapy, and cure for adolescents and adults, especially at the more severe end of the spectrum. And yes, I know about all the biomedical and therapeutic interventions. I have been in the autism trenches for over 25 years. We have tried every treatment out there, from the conventional to the alternative to the downright fringe, and we have the debt to prove it. Yet my son is still profoundly impaired and will need lifelong care and support. There hasn’t been a new biomedical treatment for at least ten years, possibly fifteen years. I want to end the epidemic, but I also want effective treatment and cure for those who are already injured. And I wish those issues received more attention. Yes, yes, yes! We know a lot of things that can help, but in most cases we don’t know why they are helpful for some parts of the population and often downright hurtful for other parts. I suspect the keys lie in James Lyons-Weiler’s theories about specific gene pathways. If I had the money, I would fund Lyons-Weiler’s proposed research pathway. Thank you for your bravery and dedication to sharing the truth. As an ‘Australian’ living with the ‘no jab no play’ and ‘no jab no pay’ laws, I am deeply concerned about the ongoing violations of our human rights being committed by so called ‘authorities’, and about the detrimental effects of these violations on the well-being of our children, our selves and our planet. Knowing that there are others who share my concerns is wonderfully reassuring to say the least. United we stand! I am deeply concerned about the situation in Australia as well. Know that we are indeed sharing your concerns. If you would like to write something to raise awareness, we’ll be happy to consider publishing it. Very nicely summarized, Professor. On my “wish list” for the future, I would like to see doctors acknowledge that many chemicals and metals (from agriculture, industry, lawn and garden, medicine, dentistry, etc.) negatively affect immune function and overall health; and that these negative effects can worsen response to infections. Further, I would like to see medicine (other than cosmetic) re-defined in our capitalist system, as a limited-profit arena, where profits for any medicine, vaccine, or medical device are limited to say 5 or 6 percent. Additionally, advertising these products should be tightly limited. Personally, after 30 years of reading about nutrition and natural medicine, I think effective and gentler alternatives exist in nature for many, perhaps most, conditions. I can’t wait to read the book. Agree all the way, JP! Aaron Siri is my new hero. But J.B. Handley and TMR are still my heroes, too. Aw thanks, Nancy! I got see Aaron in action in a New York courtroom a few years ago. He was clearly nervous, but so on point. The deposition is a truly awesome piece of work, isn’t it? Thank you for a great article. I am in full agreement with you, particularly about your goals for children. We can’t let the younger population think all these illnesses/diseases, especially autism, are the “norm” when they are definitely not. Right? It’s the older adults I’m surprised at. Many of them seem to have forgotten that the children around them were HEALTHY growing up, able to sit in a classroom and absorb material, with few ear infections, and even fewer cases of asthma. I discovered an interesting fact when researching for a friend. In the year before the measles vaccine was licensed, there were ten times as many deaths attributed to asthma as measles in the United States. In that era, asthma was considered “rare” and “rarely” fatal. Yet, all this effort was put into eradicating a disease that killed only a tenth as many people, measles. Despite all the “miracle” asthma drugs available these days, there are STILL approximately 4,000 people dying a year from asthma. So we’ve lowered the 400 measles deaths to zero, but made no progress on the MUCH higher number of asthma deaths, despite the prevalence of life-saving medications, probably because the number of people who experience it has risen tremendously. Not a shock when you realize that a large cohort study in the U.K., the closest thing to a vaccinated vs. unvaccinated study we have, found that asthma was 14 TIMES more likely to be present in kids vaccinated against pertussis than unvaccinated. Asthma is, by and large, an inner-city disease, with exposure to cockroach dander a major risk factor. People still die from asthma, and it is cross-linked with eczema. Another eloquent essay by the fiercely brilliant Professor— whose contributions to the health of our children merit a humanitarian service award. Thank you for your dedication . And I agree: we are ( finally) approaching a tipping point , as more and more people appear to be questioning the insane proliferation of toxins in our environment and in our own bodies.